Click on the buttons to see how the population changes through years. Zoom over the map and hover over the circles to see more details. 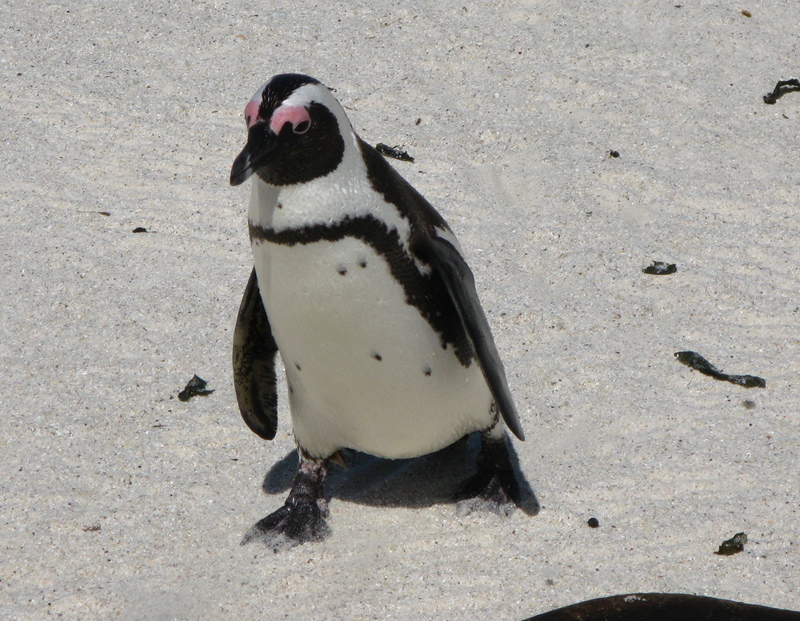 Do you want to learn more about PENGUIN POPULATIONS IN SOUTH AFRICA? Click here! This visualization represents the penguin population of southern Africa. The bigger the size of the circle, the bigger the population. The changes in population size have been related to their food source: anchovy and sardine. These fish are also the target of purse seine fisheries in the region (RJM Crawford, et al., (2011) Collapse of South Africa's penguins in the early 21st century, African Journal of Marine Science, 33:1, 139-156). The black buttons on top represent different years. If you click on them you will see the changes in penguin population for each year. If you hover over the populations you will see the location name, and the approximate number of penguin pairs. You may also zoom to look closer at the locations. This penguin population visualization was a suggestion from Judy Mann-Lang from SAAMBR (South African Association for Marine Biological Research). The data used, was extrapolated from (RJM Crawford, et al., (2011) Collapse of South Africa's penguins in the early 21st century, African Journal of Marine Science, 33:1, 139-156). The shapefiles used to create the map were obtained from Natural Earth.